Dalesman is your one-stop shop for everything you need to know about the Yorkshire Dales. 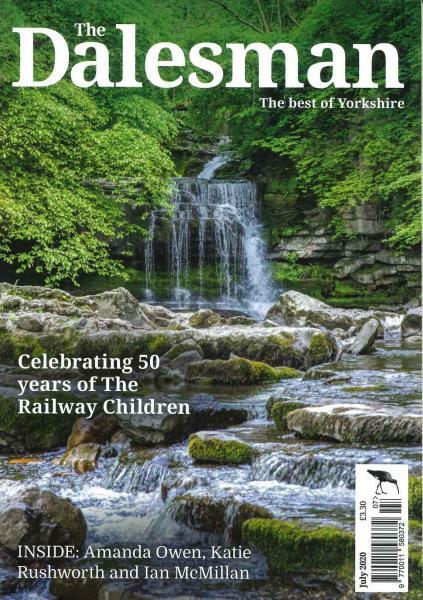 Buy a single copy or subscription to Dalesman magazine. The English countryside has long been written about and admired in reams of print, but each region has so much to boast of. The English countryside varies from stretches of green, to fells (or hills), lakes and farms that stretch on and on and each region comes with its own surprises. This magazine enjoys a great reputation among the locals who are not just regular readers but also contributors to the magazine. Many of them have lived in the Dales all their lives and can trace back generations of family to the same region. From descriptions of local festivals, to the best ways to increase produce to all the latest news about the freshest jams, preserves and pies in the local market to the stories of human and personal courage exhibited by the people of Yorkshire. There are many towns, villages and little nooks in the Yorkshire Dales that have to be seen to be believed. They seem right out of a Victorian novel, with sprawling greens, mansions and local tea-shops that still haven’t changed in centuries. For history and literature buffs, there could be nothing better than picking up a copy of the Dalesman and losing oneself in connecting the dots of an English past and present through the lovely pictures and stories about the Yorkshire Dales.